Geniuses are rare in life, but common in fiction. No offense to our writing class, but I suspect a lot of these fictional geniuses are written by smart-but-not-genius writers. But how can this be? How does a non-genius author write a genius character? If the character is smarter than the author, then their thoughts and decisions are, by definition, the kind of things the author wouldn’t think of when in that situation! How do you fake genius? I’ve noticed three strategies authors use. This is the most common and, to me, most annoying strategy. It treats geniuses as little more than people who know lots of facts. 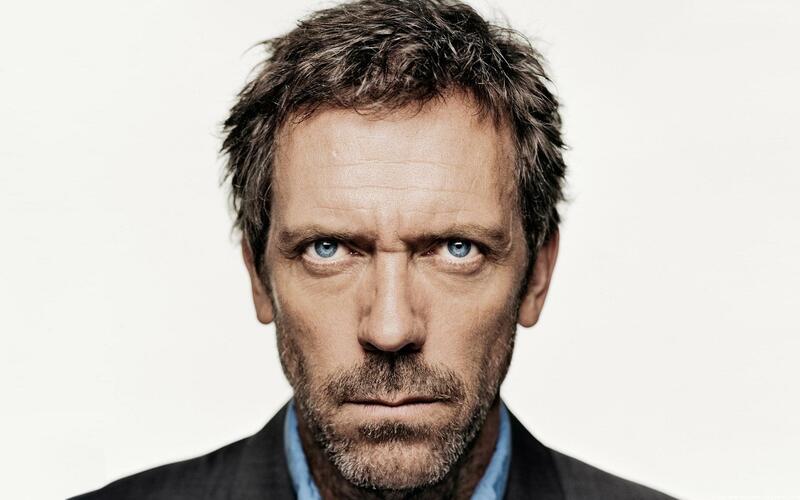 I haven’t watched that much House M.D., but from what I’ve seen he’s an archetype of this format. Someone comes in with weird symptoms and House is the only one who knows about the rare disease that matches the symptoms. He is a walking storehouse of weird disease trivia (I know, I know, there’s more to him than that, it’s an illustration not a criticism of the show). This is a pretty easy strategy for a writer to implement. The writer just uses google and a bookshelf to give the genius a torrent of factoids to say. But it’s also the strategy that leaves me cold, precisely because it’s easy to implement. It’s no more illuminating than flipping through an old set of Trivial Pursuit cards. A twist on this type is the genius who knows which facts are the right ones. In this case, the author lays down the “real” clues, but then buries them under a pile of extraneous detail and red herrings. The author then makes the genius (usually a detective here) able to sniff out the real clues from the red herrings. The veracity of the “real” clues is proved when they solve the problem. Maybe they point to a villain who confesses or tries to kill the protagonist when outed. Or maybe they point to a treatment that cures the patient. Afterwards, the audience is satisfied that the real clues were there, ready to be seen, but we stand in awe of the genius’ “ability” to see what we had missed. Leela: I didn’t wanna leave them either, Fry, but what are we supposed to do? 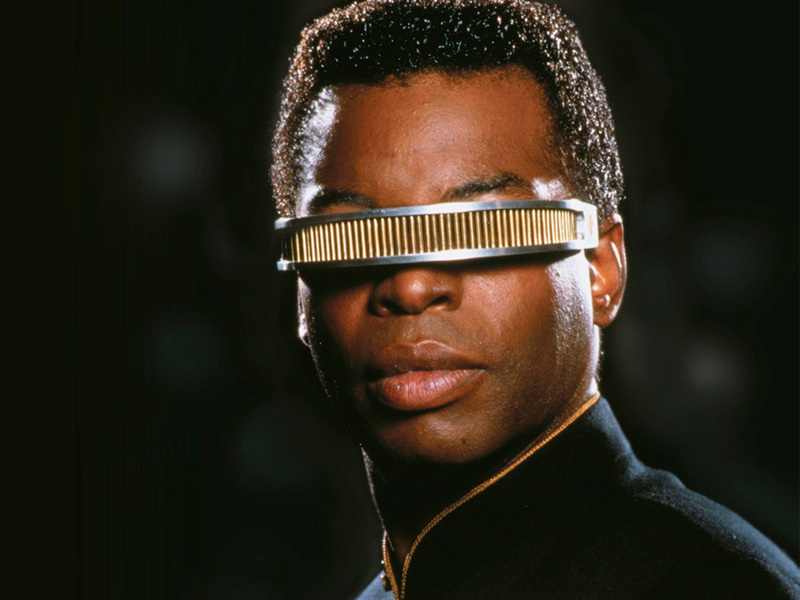 Star Trek is hardly the only party guilty of this trick. The Marvel movies do this when Bruce Banner and Tony Stark talk, for example. It’s not absent from more high-brow stuff either (e.g., Dr. Shevek’s explanations of his new physics in Ursula K. Le Guin’s The Dispossessed). This strategy seems to be used a lot in science fiction, precisely because in that genre we are dealing with technologies that haven’t been invented. If the author could explain exactly how they worked, then it wouldn’t be science fiction! Tim: What if I took something like a quid coin, ok, and I buried it in the [desert]? It’s buried, you have no idea where it is, and I ask you to find it. How long would that take you? Tim: Years, right, I mean millions of years if the desert were big enough. Tim: What if I melted the sand? Took all the sand in the desert and melted it. Glass. The whole desert becomes one big sheet of glass. So now finding the coin is easy, right? You just– you see it floating there. Change the sand to glass and finding the coin is trivial. The metaphor conveys the idea that the genius has found a way to peer through all the complexity of a problem and see straight to the answer. But the writer doesn’t actually have to explain how it’s done. A final type of genius is more satisfying, at least to me. In this case, the genius operates under a handicap so that exhibiting high (but not genius) intelligence by modern standards is itself proof of genius. 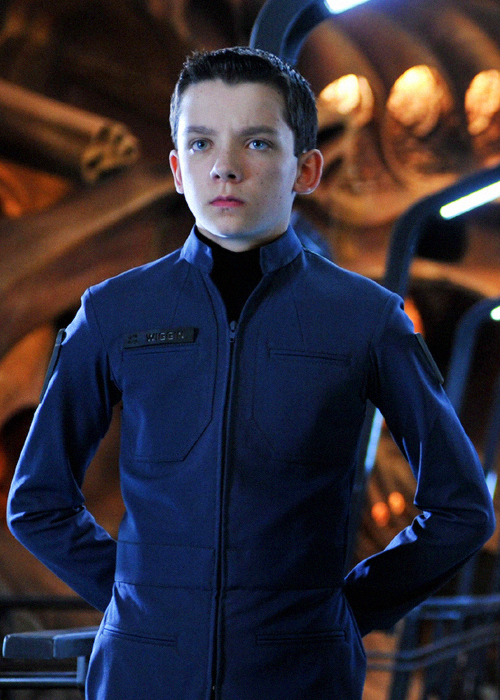 A great example is Ender Wiggins, from Ender’s Game. In the book, Ender has a number of cool insights about warfare in three dimensions, and in general exhibits adult level intelligence. But he’s only six years old! A six year old exhibiting adult level reasoning is believable as a genius. Another common twist is to put your genius in the past and have them be ahead of their time. The character of Thomasina in Arcadia is an example. In the 1800s and without the aid of computers, Thomasina discovers fractals (actually discovered by Benoit Mandelbrot in the 1970s). When the character is ahead of their time, the author has an excuse to illustrate the derivation of actually brilliant things (like fractals). But because these things have been discovered, with a bit of research, the author can learn how they were initially derived and then just copy that for their genius. This strategy is more satisfying to me than the others because it usually exhibits reasoning from A to B, illustrates the connections between ideas, and so on. The facts aren’t just a torrent, but form a web of relationships. And for characters who are ahead of their time, you might get an idea of what it’s like to be inside the mind of genius. The catch is, you are actually reading a sort of disguised biography of whatever genius discovered the thing (like fractals) we are pretending was discovered by the fictional genius. So that’s how I’ve seen it done. Despite the tone of the above, I actually don’t think these are bad places to start. These strategies do get at some truths about geniuses: they do know a lot of stuff and they frequently are unintelligible unless they talk down to us using simple metaphors. Read a pop-physics book for copious examples. Geniuses think with both speed and endurance. Geniuses have a lot of working memory. Geniuses make unusual connections between disparate concepts. Most of these traits are not that hard to fake with time and tools. Let’s take them in turn. This is the one nearly everyone gets right, so I’ll be brief. Google and libraries are your friend. A team of writers can pretend all their accumulated knowledge fits in one genius’ head. Another easy one to fake. The writer can ponder the perfect witty retort for their genius for an hour, a week, or a year. But when they put pen to paper, it will seem as if it was instantly on the genius’ lips. Geniuses are also frequently capable of intense focus for long periods of time. The author can afford to be scatter-brained, as long as they have more time than the genius to ponder. The audience need not know that one day of focused attention by the fictional genius took the writer a few months of scattered attention. By this, I mean that geniuses don’t make weak arguments and logical errors. Unfortunately, as laid out at length in Mercier and Sperber’s The Enigma of Reason, individuals have a hard time objectively evaluating the strength of their own arguments. This is bad news, because Mercier and Sperber also present evidence that humans are quite good at objectivley evaluating the arguments of others. If the author gives their genius a bad argument, the audience is more apt to spot it than the author. Fortunately, we can use the same trick to our advantage. A good way to ensure your genius’ arguments are strong is to find a partner (or multiple partners) who you can talk them over with. A group of debaters, each of whom is individually biased towards their own argument, can nonetheless form a very clever collective intelligence because they can objectively evaluate each other. An author can, however, bring these disparate voices into the head of a lone genius to make the collective mind a singular one. On average people can hold about 7 pieces of information in their head at the same time, some more and some less. Geniuses, I presume, can hold more. This is important because it’s much easier to see connections between ideas that are held in working memory. Thus, geniuses can perhaps see how larger sets of facts are connected to each other. Now we are getting into terrain a bit harder to fake. Pen and paper are useful tools for keeping facts close to hand if not in your brain. You can work out the genius’ idea with lots of time and paper (including a lot of paper that is discarded) and then pretend it all happened in their head. Another possible technique is to “chunk” several pieces of information into a broader concept, so it can be worked with. This takes longer than it would for a genius (you have to spend time understanding the chunked concept), but it’s a price of faking genius. This is hardest to fake. One possibility is to mine your own life for the top 2 or 3 epiphanies and then to reverse engineer a scenario for them to emerge. It helps if you keep a record of your thoughts. Alternatively, you might pick a few disparate subject areas, read deeply in them, and attempt to harvest a surprising connection or two. Again, reverse engineer a setting for those connections to emerge. In either case, the goal would be to make it seem as if these kinds of realizations are ordinary events for the fictional genius. It’s irresistible to wonder if we can’t use similar tricks to fake genius in our real lives. I think it’s not only possible but common. Indeed, this is the kind of thing academics and scientists do all the time. We cite things we haven’t read carefully. At seminars, only one person presents, even if the work came from many. Our papers omit the missteps, dead-ends, and other frustrations of research. There’s no place in a paper’s methods section to write “then I thought about the problem off-and-on for two years.” We talk our ideas through at length with our colleagues. We use computers and paper to augment our paltry memory. And we pick and choose research questions that are well suited to the weird ideas we want to explore. If there’s a larger point, it’s this: I am suspicious of the notion that the difference between us and geniuses is one of kind and not merely of degree. I am suspicious that they can ever be incomprehensible, so long as we give ourselves sufficient time and tools to work out their thoughts. Brainpower, time, and thinking tools are all inputs into great ideas, but to a large degree I think we can substitute the latter two for the first. This entry was posted in Uncategorized on July 12, 2018 by mattsclancy.